Recently I had posted Lots of hacking methods to hack Facebook, Gmail etc. and similar accounts. 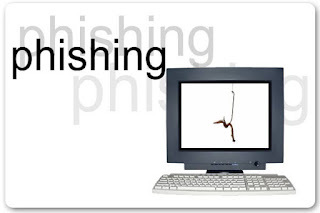 Phishing was the famous and Most widely used methods of Hacking by hackers. Of Course I'm a hacker. But I'm not a cracker, only Ethical hacker. Even though I'm posting various methods to hack Passwords, It is not to harm anyone. Just to make everyone aware of this and prevent hacking. Hacking is a serious offense. You must be bothered about Cyber security. So, Here I'm giving some tips to prevent your Account from hacking. Once again I'm repeating, Please don't use our hacking articles to hack anyone's account to steal their money etc. It is just for educational purpose. Here are the tips. Always check your URL before signing in to any page. Phishing attackers always use some URL similar to orugunal URL to make you confused. For eg:. Facebook hackers use s site like faecbook.com. See the difference! So, Always check your Browser URL box to ensure that you are submitting information to the right site. I explained Phishing method there. Please read that post to know more about It and secure from Phishing and see how it works! You will think that it will go to Facebook when you click on it. Wrong! If you click on the above link, It will go to my other blog, Blogging Bytes.blogspot.com (try it). Also one more thing. There are lots of free services available to Spoof Email address. That means you can even send Email as from no-reply@facebook.com. SO no one can doubt it. So, you must be careful even when you check Emails from Trusted IDs. Firewalls are Cyber security tools that secure you from Internet attacks. It can block a number of phishing sites. most of the Web hosting providers doesn't allow Phishing pages according to their Policies now. Still there are some. Also firewalls check the certificates of websites. So, It is highly recommended to use a firewall to protect your browsing session. It can save you from a number of viruses also. The host file is situated in C:/Windows/etc/hosts. It is used by Desktop phishing attackers. Probably this is the most dangerous one. It is another form of phishing. The main thing is that you cannot determine this by just checking the URL. That's why this is the most dangerous. I think using a firewall can solve this up to a great extend. But still there is a chance to infect. 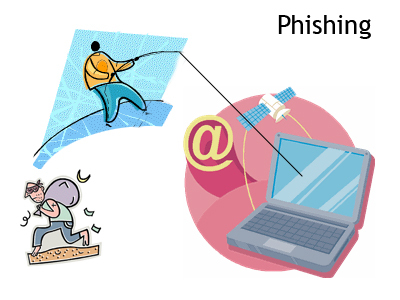 I recommend you to read my previous article in which I detailed explained all about Hosts file and Desktop Phishing. You can read that from here.Thus you can make a better idea about Hosts file and avoid desktop phishing. I think these simple tips will help you a great extend to prevent from hacking. Still there are some tricks to avoid all these. I will post the advanced security methods within one week. You can subscribe to our Email updates to get All the upcoming updates of this Blog to your Email ID..
Aωesome blog! Is your thеme custom made ог ԁid you doωnlοаd it from somеwhere? ωhегe you got youг desіgn. It's amazing to pay a quick visit this web site and reading the views of all friends on the topic of this piece of writing, while I am also zealous of getting experience. Howdy, There's no doubt that your site might be having internet browser compatibility problems. When I look at your blog in Safari, it looks fine however when opening in Internet Explorer, it's got some overlapping issues. website. Reading this info So i am glad to express that I've an incredibly excellent uncanny feeling I discovered exactly what I needed. I such a lot certainly will make certain to don?t forget this site and give it a glance on a continuing basis. I am genuinely grateful to the owner of this web site who has shared this wonderful paragraph at at this place. I'm wanting to create my very own website and want to find out where you got this from or exactly what the theme is called. Thanks!